The Early Childhood Education (Pre-K-4) graduate teacher education certification program is a 46-credit program designed to prepare students for preschool and elementary classrooms in Pennsylvania and in many other states. Those who are seeking to teach in the early grade levels will acquire the knowledge, skill, and disposition to become an effective leading teacher in the classroom. Those who are currently teaching and looking to teach a different grade level will be prepared with the skills for a smooth transition. This graduate teacher education certification program is nationally accredited and guided by standards from the State of Pennsylvania and the National Association for the Education of Young Children (NAEYC). The program faculty are experts in their field. In addition to the course work, students will complete formal classroom visits, known as field experiences, explore different perspectives, and be face-to-face with social justice issues in the field. With Duquesne's premier location, in the heart of downtown Pittsburgh, candidates will have the opportunity to visit classrooms in urban, suburban, and rural settings. Minimum overall 3.0 GPA or a minimum 3.0 GPA on the most recent 48 credits. Test of English as a Foreign Language (TOEFL) test or a score of 80 on the internet version of the TOEFL (the TOEFL iBT). International students also have the option to submit the International English Language Testing System (IELTS) scores. 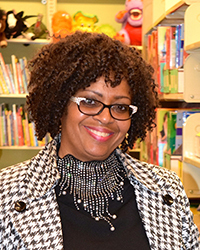 Julia Williams (Ed.D., Instruction and Leadership, Duquesne University, 2007) is Director of the undergraduate and graduate Early Childhood Education (PreK-4) programs. Dr. William's expertise is in early literacy development, early childhood curriculum and instruction, family engagement, and child development. Dr. Williams embraces the university's motto: We serve God by serving our students. This belief resonates throughout the program in hopes that the teacher candidates will continue this model when they have their own classrooms working with children, families, and communities. 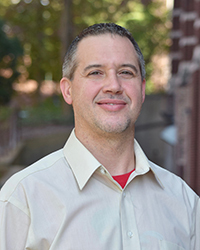 Christopher Meidl , Ph.D., is an assistant professor with a doctorate in Curriculum and Instruction in Early Childhood Education from The Pennsylvania State University. His k-12 teaching experience includes: high school English at Marion Abramson High School in New Orleans, La. and pre-kindergarten/kindergarten in Westwego, La. and La Joya, Tx. The intent behind much of his research and scholarly work has been to advance understanding of pedagogy and curricula. The four areas his research are: character education, classroom management, White teachers and diverse communities, and Black males in early childhood education. Two recent publications include: Black Men and Early Childhood Education in Urban Education (2018) and Establishing Asset Thinking with Preservice Teachers: Community-Engaged Learning with Young Children from Public Housing in the book Service-Learning Initiatives in Teacher Education Programs (2018). 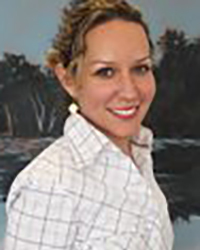 Sandra Quiñones (Ph.D., Teaching, Curriculum & Change, University of Rochester, 2012), is an assistant professor in the Department of Instruction & Leadership in Education at Duquesne University. Her qualitative scholarship focuses on Latina/o education and family-community engagement issues, with an emphasis on bicultural-bilingual elementary teachers’ experiences and perspectives of being well educated. She specializes in the application of Chicana/Latina feminist concept of trenzas/braids as a metaphorical-analytical tool in life history and narrative inquiry approaches. A former elementary teacher in Rochester, New York and San Juan, Puerto Rico, Dr. Quiñones teaches undergraduate and graduate literacy education courses. Since joining Duquesne University in July of 2013, she has worked collaboratively on a mixed methods research study of a supplemental literacy program, a qualitative single case study of an exemplary community school in Eastern Pennsylvania, and a community-engaged mixed methods study of a mindfulness-based professional development program being implemented at multiple educational institutions.